State parties must set up a system of independent monitoring mechanisms, which usually takes the form of an independent human rights institution. 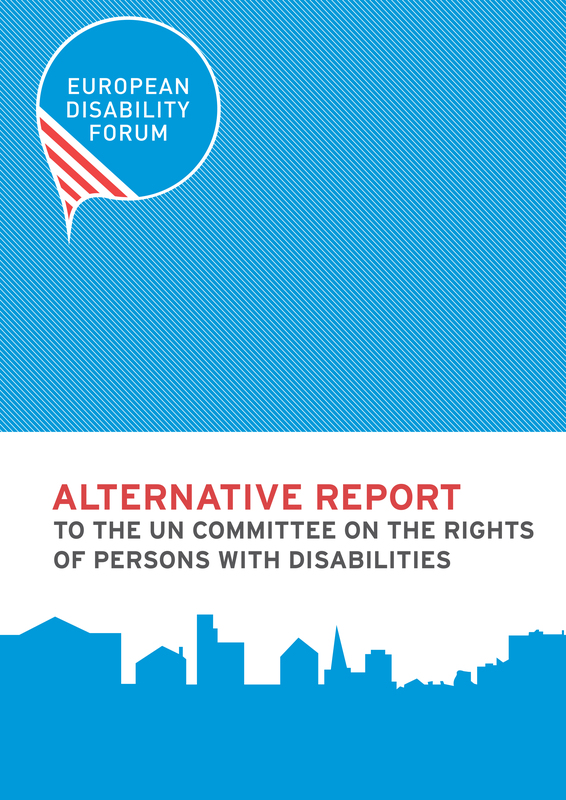 The full participation of civil society, in particular persons with disabilities and their representative organisations, is essential in the monitoring and implementation process. As such, DPOs and self-advocates should be involved in the monitoring process. International monitoring is achieved via the Committee on the Rights of Persons with Disabilities and the Conference of States Parties, (CRPD committee). It is for this reason that since 2012 the European Union has set up a mechanism to monitor the implementation of the Convention, called the EU monitoring Framework. 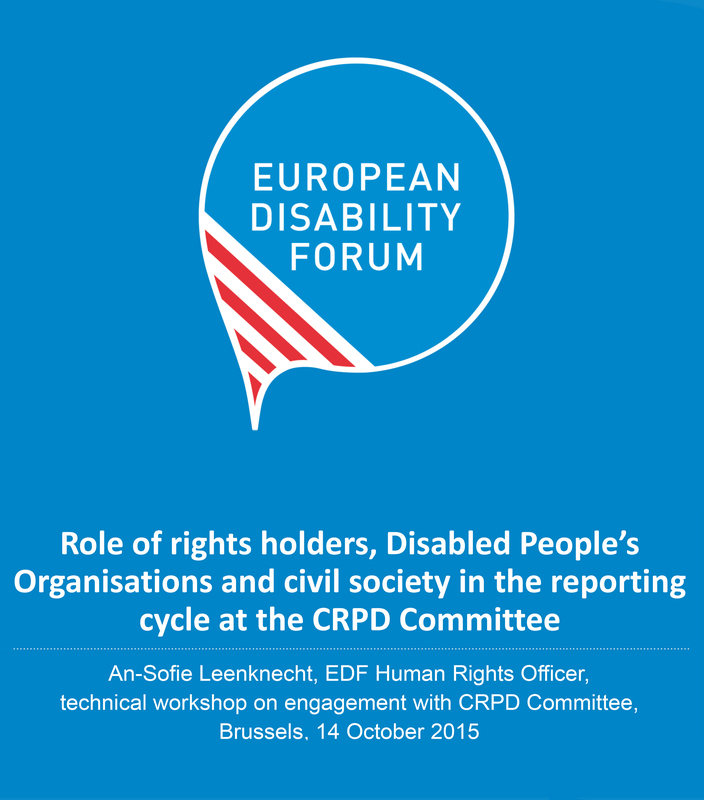 The European Disability Forum (of which Autism-Europe is a member) is a full member and Chair of the EU Framework, together with the European Ombudsman, the European Agency of Fundamental Rights and the European Parliament. 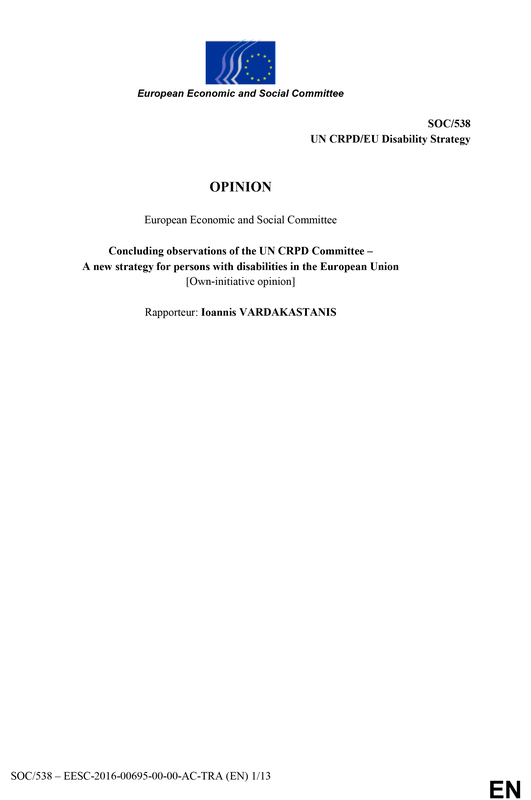 In June 2014 the EU prepared and submitted its initial report on the implementation of the Convention to the CRPD Committee. 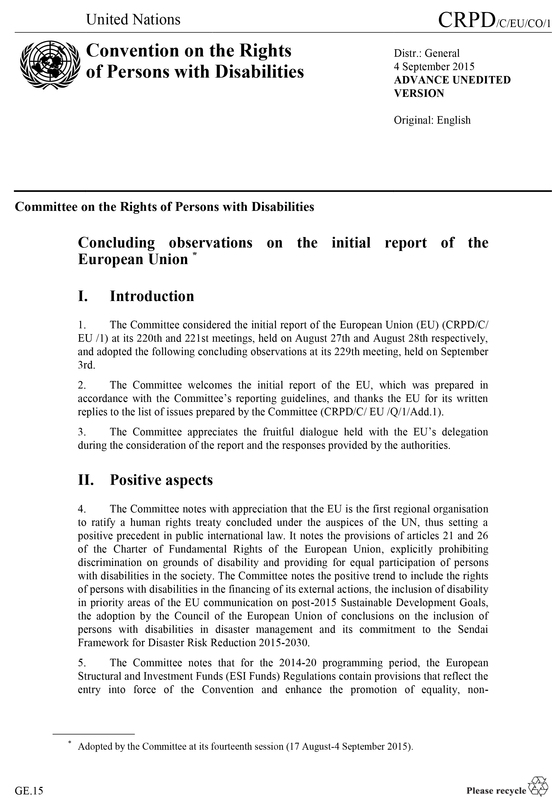 In 2015, the UN Committee reviewed the report and the work the EU had done for its citizens with disabilities. In April 2015, the UN Committee had the first internal discussion on the EU report and prepared a list of questions to send to the EU for issues that require further clarification. This list is called “List of Issues”. After that, the EU had to respond to this List of Issues. In August 2015, the UN Committee met the EU and discussed the report and the answers to the List of Issues. This is called “constructive dialogue”. As a result, the UN Committee gave its view on how efficiently the EU had implemented the Convention and made recommendations for improvement, known as “concluding observations”. 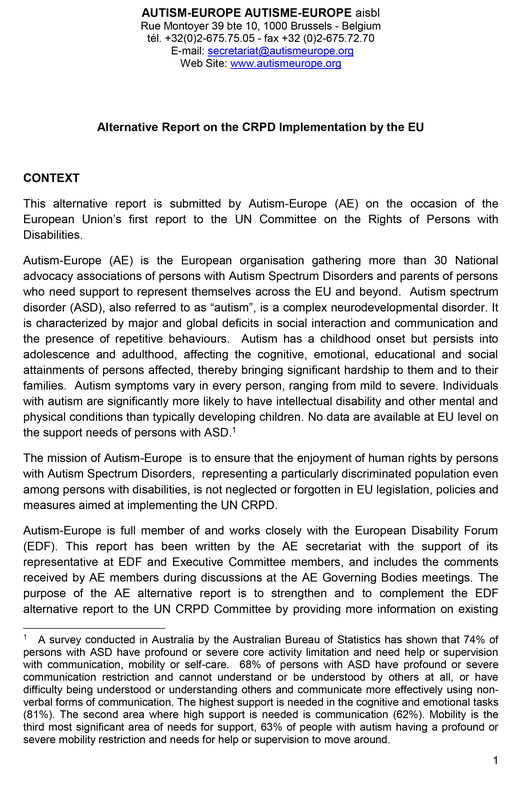 Autism-Europe for its part contributed to the process by presenting its own Alternative Report to the Committee. 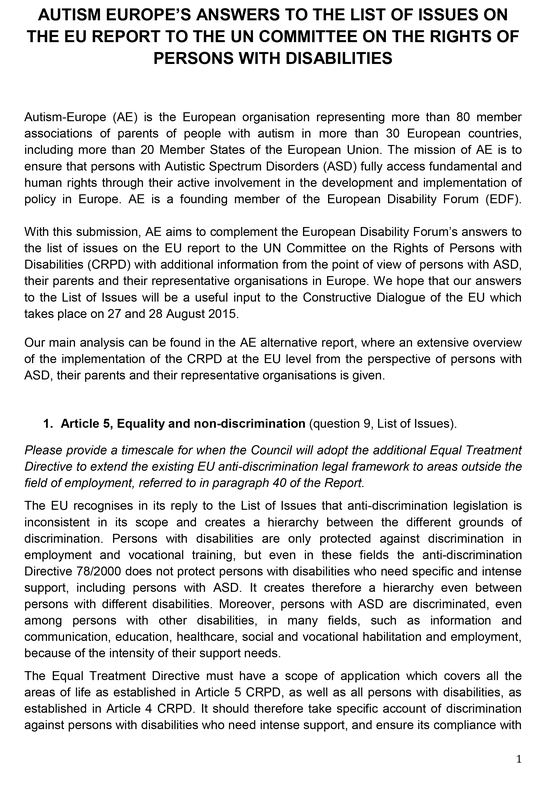 Furthermore, Autism-Europe also drafted a response to the list of issues on the EU report.